The Pic-O-Mat GR-2700 has impressive speed, flexibility and ease of use. 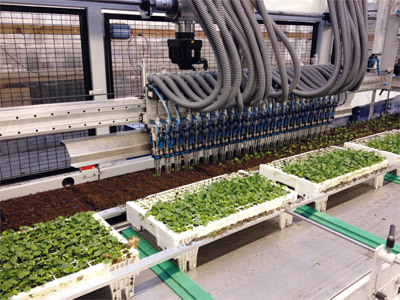 24 independent servo controlled grippers move with high speed and accuracy: up to 38,000 plants per hour. 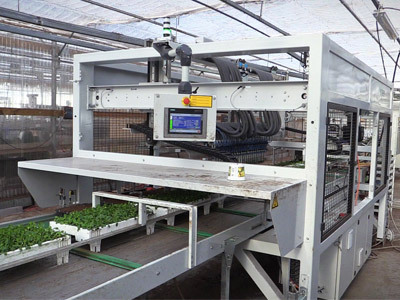 This high-end transplanting machine has taken the next technological step using high-resolution position feedback and servo control. 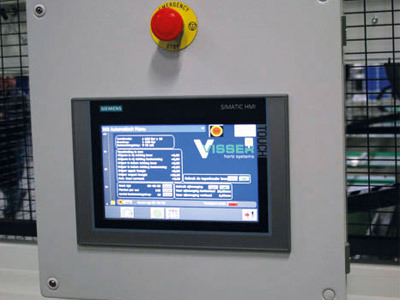 The Ultra high speed servo system was specifically developed for the Visser GR-1600 & GR-2700 machines. 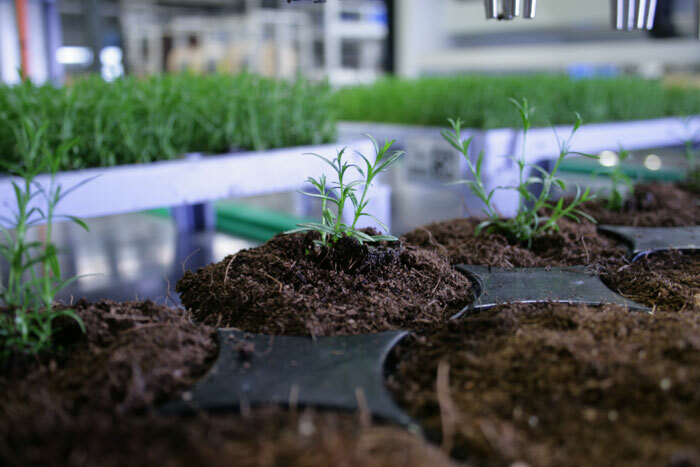 Designed for growers looking for a flexible, reliable and fast transplanter, meeting the diverse planting demands of today’s growers. 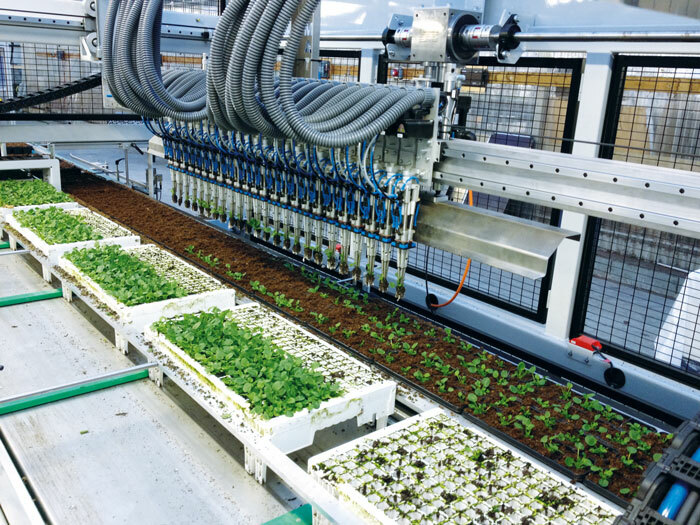 The Pic-O-Mat GR-2700 is a transplanter designed for growers with a wide range of trays and transplanting programs. Almost every combination can be programmed at site using a touch screen with obvious icons. 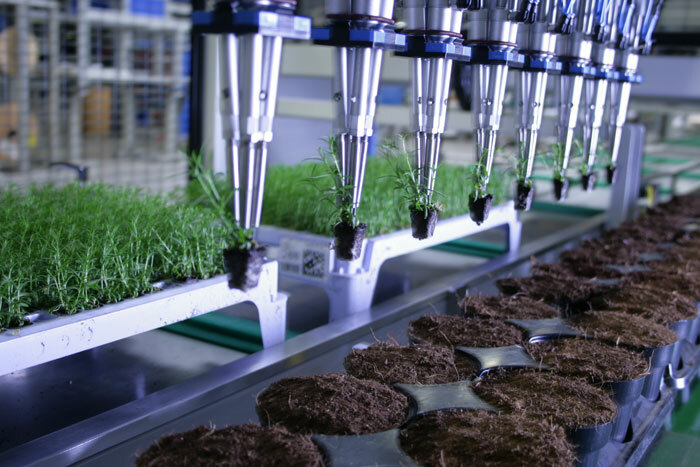 Its unique design makes the machine compact and easy to use in almost every situation. Featured with 24 independent servo-controlled grippers. Why choose the Pic-O-Mat GR-2700? 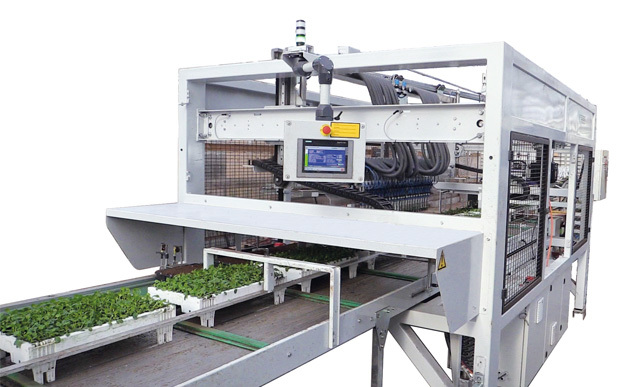 The Pic-O-Mat GR-2700 transplanters are equipped with servo driven Visser grippers which give a high flexibility in combination with a high capacity. This enables you to switch product with just one touch on the touch screen and no mechanical adjustments are needed. 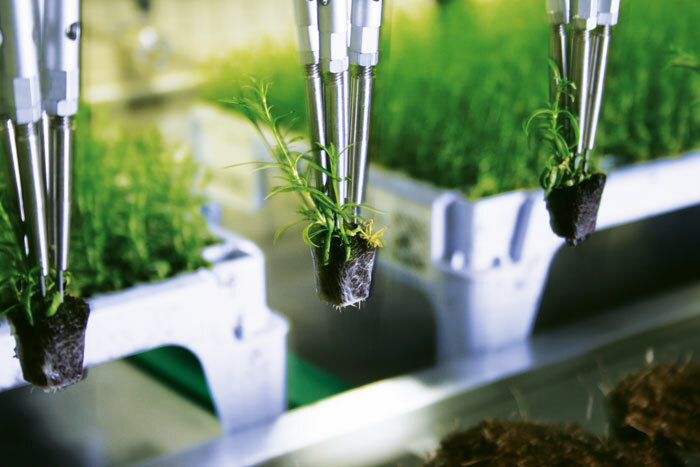 The well known Visser grippers guarantee a perfect planting result.